20 Useful Tips For Planning A Trip To Japan - A World to Travel. Japan is a wonderful country with its own culture and traditions. Many foreign people who visited this country once, keep going back later on life. Some of them even start to attend online Japanese classes to learn the language. 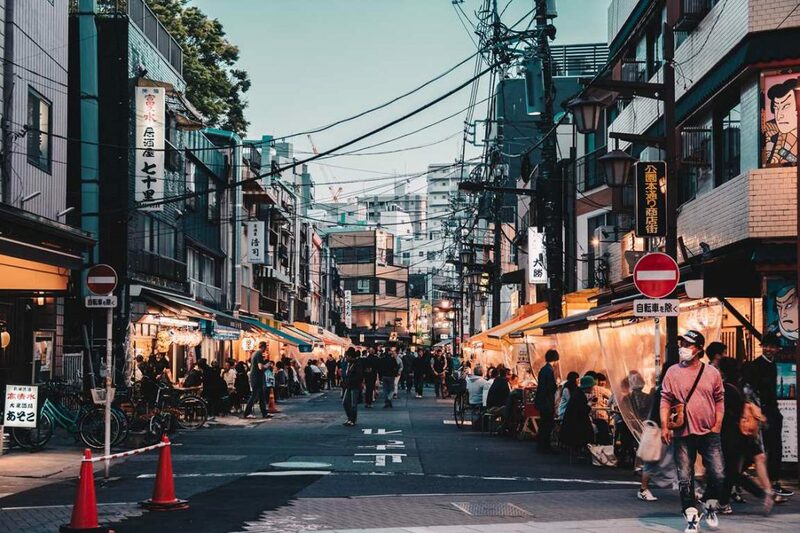 If you dream to go to Japan but need some additional information about its people, habits, and other things, this article could help you as we share with you 20 interesting facts about Japan to help plan your first trip right now! Don’t leave tips in Japanese restaurants. Probably, you are used to leaving tips in many countries but in Japan, it can be offensive as when you leave tips, people may think you hint they don’t earn enough money. You should take off your shoes when you enter somewhere. In many restaurants, people must enter barefooted, so check out if there are any shoes near the entrance. If you see them, do not enter in your shoes – people could see you as a rude person. On the escalator, stay on the left side. This is a rule for everyone in Japan. Don’t worry, all people stay on the left side so you should just follow them. Staying on the right side is impolite and rude. Never smoke on the streets in Japan. This country has laws that ban smoking outside. Of course, you can smoke in some indicated areas for smokers. Japanese people care about their health and about air, hence smokers are not allowed to smoke anywhere else. If you have any tattoos, cover them. Japanese people don’t like tattoos, as they used to be connected with crime gang Yakuza. Tourists with tattoos are unlikely allowed to visit gyms, spas, and swimming pools. Respect others and don’t forget to cover your tattoos. Make sure you have enough cash. In Japan, many places – including restaurants, hotels, bars, and other services – don’t take credit cards. Be aware also that some ATMs do not accept foreign cards. Google Translate or a translation app could make your life easier at cafes as it may be difficult to understand Japanese menus without understanding the language. Just download Google Translate and use it online or offline. When you’re going out with Japanese friends, do not finish your meal or drink in the cafe. They may assume you didn’t eat or drink enough. Leave a little in your plate and in your glass and everyone will be happy! Be careful with chopsticks. Never stand your chopsticks in the bowl of rice, nor cross them. As that’s the way Japanese people offer rice to the deceased. Also, do not spear your food with chopsticks. Three easy rules that will show your respect to Japanese culture. Remember that Japanese people never eat as they walk as this is a rude habit. If you need to eat outside, just find a bench or another place where you can sit comfortably and have your lunch. If you are planning to visit a few different cities in Japan by rail, buy the rail pass just before you go on the trip. This will save you time and money. Otherwise, if you plan to visit just one city, skip it altogether, you won’t need it. Be careful with taxi doors. All the taxis there have doors that open and close automatically when you arrive at your destination. Watch your bags, fingers, and clothes. Bear in mind you might need a VPN and install it beforehand. Coming across a bad restaurant is nearly impossible. Food standards are quite hight and products, healthy. Japan has very few trash cans while being one of the cleanest countries on earth. People do not eat or smoke and walk at the same time, so there is no need for bins on the streets. If you are in need to throw out a piece of plastic or paper, find a convenience store – they always have a trash can inside. Buy an IC card to use public transport. Any season is great to visit this country. Japan is beautiful year round, so it doesn’t matter when you are planning your trip. During Spring, you can see a lot of amazing blooming trees, in Summer you can enjoy superb weather, during Fall the country looks colorful, and in Winter you can enjoy soft climate with minimum rains and snow. What’s not to love? Japan is cheaper than you might think! Of course, you must take enough money with you but this doesn’t mean that your trip will be super expensive. If you’re traveling on a tough budget, buy food in convenience stores. Transport cards will also help you save some money. Book restaurants beforehand. If you want to visit a particular restaurant, it’s better to book a table before you go as many eateries get fully booked regularly. You can book a table with an app or a quick phone call. If you are coming from the other side of the world, book an airport transfer to welcome you on arrival. After a long flight, you’ll be definitely tired and not in a mood to gaze at the crazy Japanese train system. There will be more time to use it during your time in Japan. We hope these hints were useful, and wish you a great and interesting trip. Japan is an awesome country most people fall in love with, enjoy! Do you have any other tips for planning a trip to Japan? Let us know in the comments below.